Knock, knock. Who's there? Aaron. Aaron who? Why Aaron you opening the door? Knock, knock. Who’s there? Abbie. Abbie who? Abbie stung my nose! Knock, knock. Who’s there? Abbot. Abbot who? Abbot you don’t know who this is! Knock, knock. Who’s there? Abbot. Abbot who? I'm fine. How Abbot you? Knock, knock. Who's there? Abby! Abby who? Abby birthday to you! 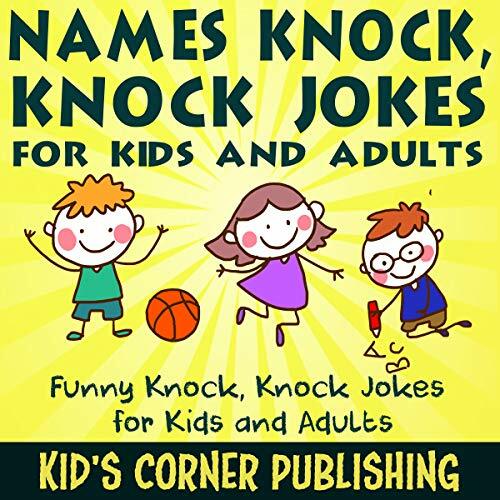 You won't regret getting this funny and silly knock-knock jokes for kids and adults. A good audiobook to listen to and give as a gift for kids and adults. Everyone would enjoy a good knock-knock joke.